The Office for Equity, Diversity, and Inclusion is advancing UC San Diego’s commitment to creating a climate of respect and understanding. With your philanthropic support of diversity—which contributes to the Campaign for UC San Diego—we can make waves for the greater good. We do this by opening more doors to higher education, taking an active approach to teaching and learning, and blazing new pathways to solutions that enrich our community and our world. 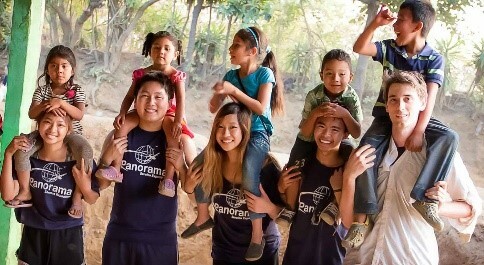 below and make a gift today. We want to open our doors to talented students and renowned faculty from all backgrounds. Through student scholarships and fellowships, we are able to broaden opportunity for first-generation and historically underrepresented students. Professorships enable us to recruit and retain diverse and distinguished faculty with an array of expertise. The Office for Equity, Diversity, and Inclusion Innovation Fund provides flexibility to quickly implement initiatives that revolutionize teaching and learning, ignite discovery, empower inventive minds, and contribute to a campus climate that is open and inclusive. Campus community centers are welcoming spaces where students can develop cross-cultural awareness, grow in leadership, and discuss issues openly. These centers are a vital part of fostering a university where everyone feels included, respected, and valued. about or create new giving opportunities. Making an Impact: Pave your own way to contribute. Several years ago, municipal law attorney Michael Estrada would never have guessed that he would be digging ditches in Appalachia with a group of 18 to 23 year olds, but sometimes life takes you where you least expect it. It all started when Estrada, a UC San Diego alumnus, was diagnosed with throat cancer. While undergoing treatment, he read an issue of the campus’s alumni magazine, Triton, which featured an article on a fellow alumnus who supports the university’s Alternative Breaks program. As part of the service-learning organization, students embark on global service-learning trips as a meaningful way to give back to society. With his cancer defeated, Estrada reached out to learn more about the program. After three years of providing support and taking part as a mentor, Estrada established the Michael Estrada Alternative Breaks Scholarship Endowment with a gift of $50,000 to help ensure that students in need could participate in the program. He also designated the newly established endowment as a beneficiary of his estate. At the University of California San Diego, challenging convention is our most cherished tradition. 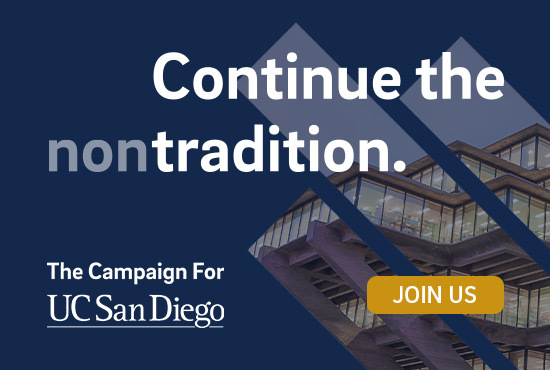 The Campaign for UC San Diego is a university-wide comprehensive fundraising effort to transform the student experience, our campus, and ultimately the way humanity approaches problems and develops solutions. Learn more at campaign.ucsd.edu.